my random numbers would be 300-350k acceptable and 500k+ as really good. The only metric I see is Nintnedo JPs youtube channel, in which ARMs videos have done decently since reveal. 200k is way too low and a failure for their amount of effort and 1 million is a joke unless something crazy happens. Anyways, I'm mostly just saying to people to keep their expectations reasonable, but in check. Also taken from the A 5th of BitSummit May 20th-21st topic. Apparently Blaster Master Zero's 80K downloads are for both Switch and 3DS. Correction: BlasterMasterZero's 80,000 downloads are not just on Switch, but Switch and 3DS. sinobi: Switch hard to find since launch, expects the situation to continue and become become worse closer to Splatoon 2 launch. gamesmaya: Preorders for Splatoon 2 started strong, sees a hidden big game announcement for second half (Splatoon 2 bundle she was expecting happened, maybe sooner than what she thought). What's up with the bundle actually? The regular models fly off the shelves and people were gonna buy Splatoon 2 with or without a bundle. I don't really see the point of it for Nintendo. I'm expecting the Switch to hover between 30-50k a week until Splatoon 2 and even then I'm not expecting nothing more than 100k at the most for launch week. even then I'm not expecting nothing more than 100k at the most for launch week. You mean due to hardware still being supply constrained? I mean you barely save anything with the bundle but you get Splatoon colored joycons - it's not like Nintendo is losing anything with bundling it this way. It's just a matter of shipping enough quantities of the Switch for the summer holiday and Splatoon launch. Nintendo has not cut any corners as of yet. Why start now? They were probably planned a while ago. They aren't losing money on the bundle anyway. Hopefully they have a lot of bundles ready doubt it though. It's almost impossible to predict without knowing a what's happening with their supply line. Nah, it's a physical copy. Splatoon 2 bundle shows Nintendo is in position to increase supply, not the opposite and either way not many outside Nintendo know production scale 2 months from now. What looks possible is that Nintendo took some planned shipments from this FY to cover demand for launch month. Same thing happened with Wii U holidays 2015, only back then Nintendo had decided to cease Wii U production and these units were never replenished. The limited edition Splatoon 2 bundle with appropriately coloured Joy-Cons builds excitement around the platform even if stock continues to be constrained. Well there was at least an uptick of interest according to Famitsu, last time they did FMW Arms had 148 points. 1m for Japan from a new fighting IP would mean a Smash Bros. level entry. Anything over 500k for Arms should be considered a success for Nintendo. For me, 500k should be bare minimum. If gundam versus can hit that number, a game with this buge push by Nintendo should also be able to hit that number. This bodes very well for ARMS. The Snack Flop is 4th on the list, so I don't think it means much. Unless it turns out not to be a flop? I suppose, but Gundam is a massive franchise. 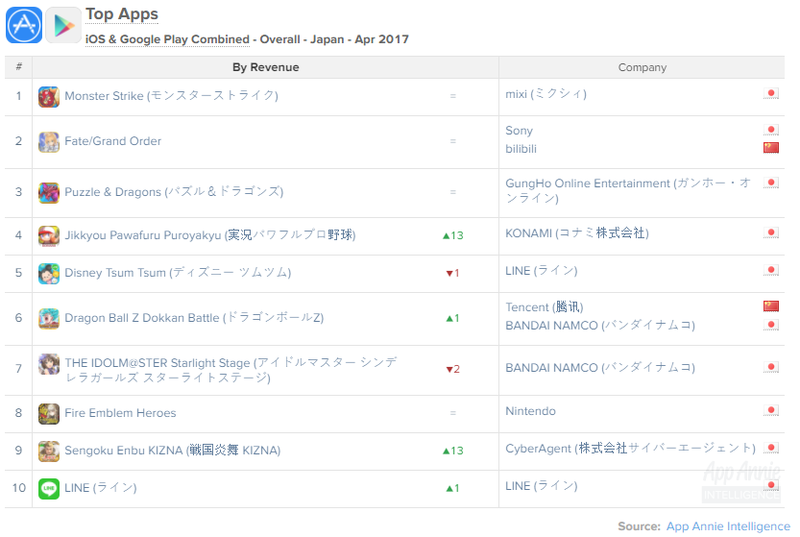 Even mediocre Gundam games sell pretty well. 500k is huge for a brand new IP. Very few new IPs can reach it. That said, I am very bullish on ARMS. And I'm sure Nintendo knows this which is why they''ve been reluctant to do it with their core teams or covered those attempts with another popular IP. 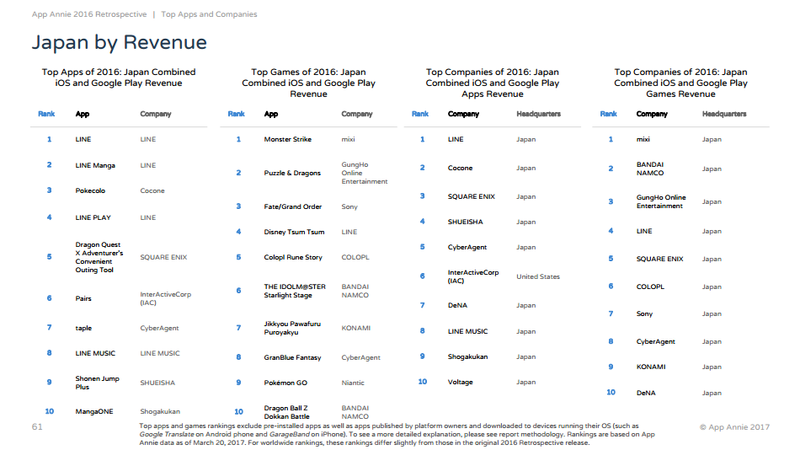 Gundam is one of the biggest franchise in Japan. It needs more than marketing to beat Gundam. In the end, it's going to be about ARMS's legs. If the multiplayer is addictive for kids, challeging for teens/adults and the updates are attractive, that is the biggest push the game can have. Ohh. I know for sure gundam versus is a huge Ip with tons of fans. I am just seeing from the other perspective where ARMS is new IP which seems to had some pull on casual market with motion control. It also had that Nintendo brand which always seems to resonate with more mass market consumers. 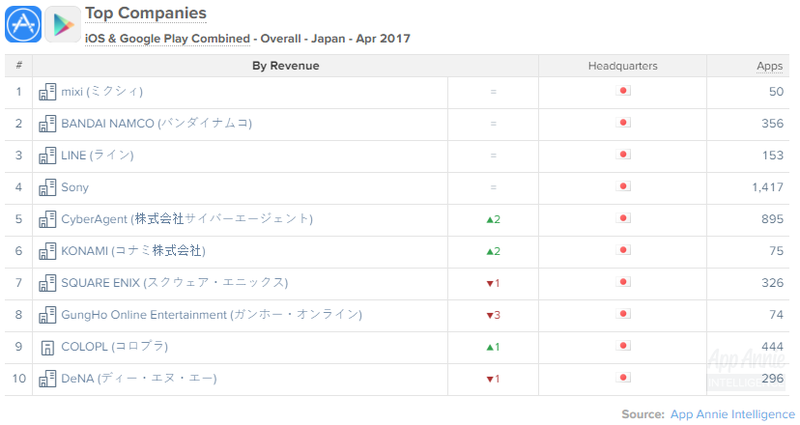 That is the reasom i feel 500k is Nintendo target at least for Japan. Like what you said, i am just viewing through opportunity cost view there. Nintendo know these team capabilities. If they found ARMS is just going to do 200k in Japan, i believe they would rather make them do other game or genre which would be able to do bigger number. LTD of Splatoon 2 will depend at how much the game is good and has improved from the wii U version. 80k sales for Blaster Master is OK for a mediocre game. AppAnnie released their full 2016 retrospective today. 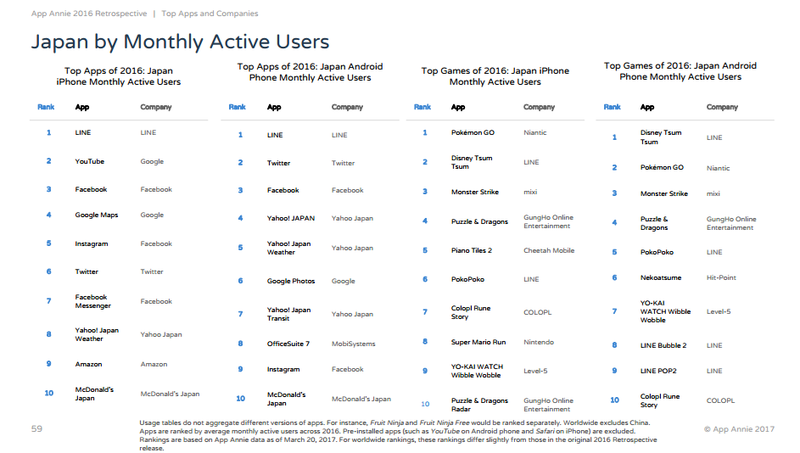 For the curious, Dragon Ball Z: Dokkan Battle also pulled #8 in the US for the month, an increase of 50 positions over the previous month, and was #10 worldwide. ARMS certainly has a wide variation of expectations. Anywhere from a w101 level bomb to 1 million+ plus sales, that's a pretty massive range lol. Also Nirolak whilst it's hard to respond to such a large amount of numbers it's much appreciated. 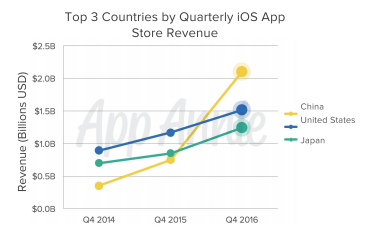 The mobile market is always interesting. 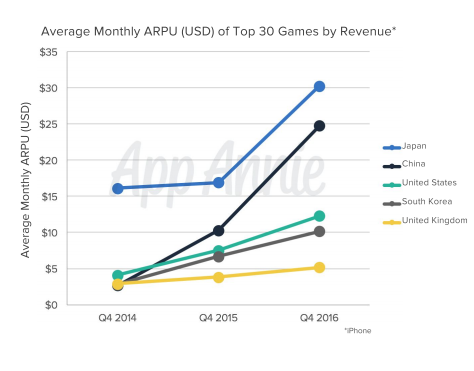 The growth in the Chinese market is staggering. 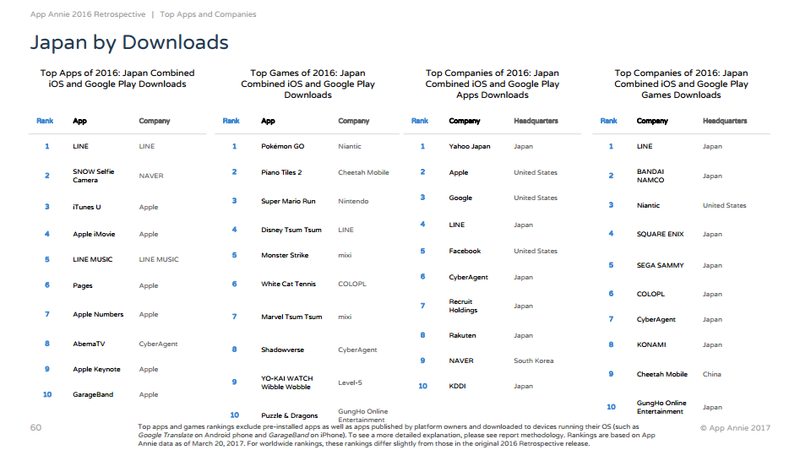 Fire Emblem Heroes is rising in chart huh. Ninty is slowly but surely wanting that mobile pie huh. Well, if thats the number i would feel it is extremely disappointing especially if the FW week is only 100k after such huge push. Nintendo has released bundles with pre-installed software before. It wouldnt be something new. Of course Nintendo will have high expectations for ARMS. But I just don't see it bucking genre trends in Japan. 700k~1 million = Absolutely amazing, nintendo would be wise to prepare a sequel with huge budgets thrown into it. above 1 million = the next Brain Training - > Monster Hunter, -> Yokai Watch - > Splatoon, Riots in the streets, long lines for the sequel, countrywide tournaments with ridiculous participation rate, attach rate of nearly 1:1 for switch. I think some of you have insane expectations for Arms. It's a new IP, doing 300-500k in Japan would be great. Anything over that would be fantastic. This, it's a new IP launching in June on a system that's only been out for 3 months. It's more important to see the longevity than to decide it's live or die on its first week. It's following the same model as Splatoon with free dlc updates rather than paid like Mario Kart 8 so it's expected to have a community to build up just like Splatoon and even have esports events to run even though it won't be at EVO this year. ARMS' first week will probably be 100k-ish. If it catches on, it'll chug along at 10-20k a week for the next 12-18 months until it finishes around 700k to 1.2m. I still think it's got a fairly good chance of hitting the bigger total. Right now, I'd say 120k. If it has good reception from the testpunch, at least 180k. ARMS' first week will probably fall in between the two. Keep mind that the switch had sold over 2 million during that point in time. Keep mind that the Wii u had sold over 2 million during that point in time. Isn't it already on mobile in China?